Did it ever happen with you that you could not retrieve your old text messages which got deleted on your Android phone? Well, it has happened with me too. While clearing cache and other history from your phone, you may have deleted your old text messages too. Although there are various ways to backup SMS, MMS and call logs of your Android phone, one app that stands out from the rest is SMS Backup+. Yes, this app has it all your backup needs for SMS, MMS and call logs. Whether you are looking for old text messages or some unknown numbers, it backups everything to your Gmail account seamlessly. Where you can find out all your old stuff by using the Gmail search bar. How cool is that? Lets check it out how you can set this up. 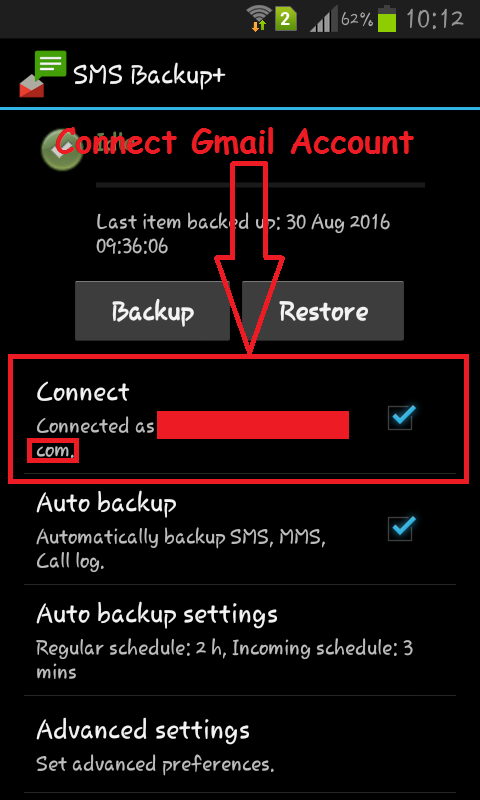 Step 1: Download and install the SMS Backup+ app on your Android phone. Step 2: Connect Gmail account using the option as shown in the image below. Step 3: Press Backup button and wait for it to backup SMS, MMS and call logs from your phone. Step 4: Open your Gmail to see the latest backup. 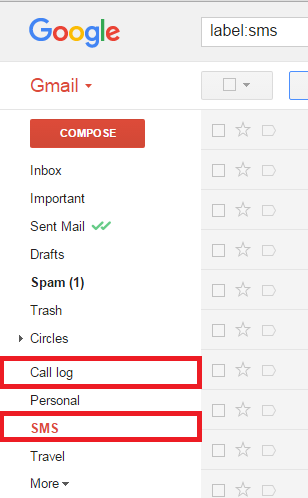 You will find all your SMS and call logs in a Gmail pane on the left side like this. You can setup automatic backups by turning on the Auto backup option from the app. One can also set up when to take auto backup using Auto backup settings. 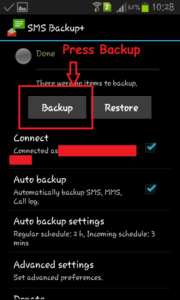 It allows you to choose the regular schedule as well as settings for incoming SMS backup. 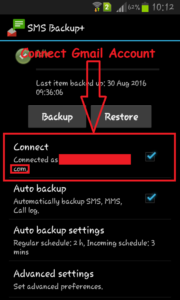 Incoming SMS backup can be triggered in just 1 minute using this option. How cool is that now? If you want the app to take backup only when connected to Wi-Fi then you can set that too. 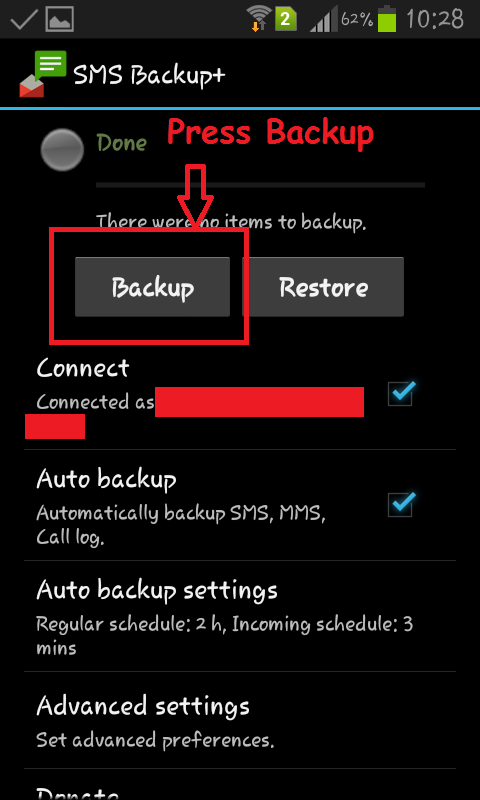 Moreover, Advanced Backup Settings offers you a choice to deselect SMS, MMS or call logs from backing up. This is not just it. 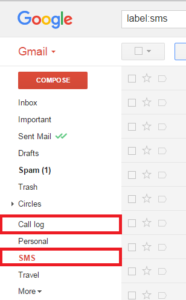 You can sync call logs with calendar in your Gmail. Now lets see the reversal. What if you accidentally deleted all SMS and call logs from your phone? If you want it back on your phone then you can use the restore option from the home screen. This is like gem of the things as we often forget the unknown numbers from which we received calls and restore option can save you in those times. Isn’t it great? Similarly, Advanced Restore settings allows you to choose what to restore while restoring data back to your phone. However, it doesn’t yet allow to restore MMS to your Android phone. So this is one great app that should be on must have app list for every individual. One great benefit of using it should also be that it stores everything on Gmail. As we all know that Gmail offers space of upto 15 GB to every free email address and one will never run out of the space in Gmail unless they have inbox which receives messages often.